Here they were again Tuesday, during work hours, no less, 10,000-plus fans swarming the Power & Light District, The Kansas City Star reported on Wednesday. They were shoehorned and sardined in every crevice and cranny and stairstep not for America’s Game (football), for which this sort of thing might seem routine, but for the World’s Game (futbol). They dressed up in gaudy gear and preened for the ESPN camera that kept flashing to the scene, so many times it might have seemed as if Kansas City were the center of the U.S. soccer universe. Indeed, Downtown Kansas City has been in the eye of the World Cup hurricane as the U.S. bolded battled in its three-game run. The Power & Light District, an official FIFA World Cup watch party, attracted at least 10,000 fans to each of the U.S. games — making it one of the most watched Watch Parties in the nation and the planet. Cheers more than 10,000 strong of “USA, USA” washed over into McFadden’s Sports Saloon in the Power & Light District last last. Bar manager Josh Ditto looked around and smiled. “I bet you have never seen anything like this,” he said. Ditto said the nearly 13,000 people gathered to watch the United States’ World Cup match versus Germany was liveliest crowd he had ever seen in the district. face paint for today’s game against Belgium, some wonder whether this atmosphere can be repeated. “All I can say is that I sure hope so,” Ditto said with a laugh. Maybe. But it might be difficult. The growing fan base of Sporting Kansas City has helped create some rare magic for the district, Executive Director Nick Benjamin said. Plus there’s one other element: The entire crowd is cheering as one for the same team. This year has put the Power & Light District on a national stage, with airtime on ESPN and The Associated Press naming it a top five watch party for World Cup fans. It is why Power & Light and KC Live were created, Benjamin said. The turnout may mean the district is finally coming into its own, Assistant City Manager Rick Usher said. The city has invested heavily in the eight-block retail and entertainment district since it opened in 2007, and a number of Downtown projects have launched in the area, he said. The district was designed with the hope it eventually would repay the $295 million in bonds the city issued for its development with tax revenue from its restaurants and shops. The revenue has not been close to projection, however, forcing the city to provide a $10 million to $15 million annual subsidy to cover the shortfall and leaving a large portion for taxpayers to cover. Councilwoman Jan Marcason said the World Cup watch parties have been a high point for the district, one she said she hopes builds momentum for other sporting events, such as the NCAA basketball Final Four and Big 12 Conference tournaments. While World Cup crowds only happen for the district every four years, Benjamin said the growth in popularity of this year’s games is encouraging. He said that when the district first hosted World Cup watch parties four years ago, the crowds, which totaled about 35,000 people, came as a surprise. And, since the crowds for Tuesday’s game against Belgium once again reached capacity at 13,000, as all USA matches did this year, the district topped the 2010 World Cup’s number by more than 10,000 people. The National World War I Museum at Liberty Memorial presents Taps at the Tower each evening at sunset nightly through Saturday, June 28. Taps at the Tower links the beauty and simplicity of the Taps bugle call with the symbolism of the Museum. The Museum will remain open each evening until 8:30 p.m. The event will occur rain or shine. In the event of inclement weather, the ceremony will be moved to the glass bridge inside the Museum. 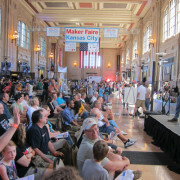 This weekend – yep, this Saturday and Sunday – the coolest inventions, innovators, creators, products, robots, exhibits, crafters, artists and young Makers in the Midwest will all gather at one place – Kansas City’s Union Station for Maker Faire 2014 – a two-day festival of fun and creativity. Maker Faire Kansas City is a family-friendly event celebrating technology, education, science, arts, crafts, engineering, food, sustainability, and much more. It showcases things people Make, create, repurpose or re-invent. A featured Faire, Maker Faire Kansas City was one of the four largest Faires in 2013, and projects attendance at over 13,000 at this year’s Faire – including Dale Dougherty, founder and CEO of Maker Media Inc.
“Not only will we have creative adults and kids from across the region showing off what they make with their own hands, but we will have a wide array of speakers and entertaining demonstrations and exhibits – really something for everyone,” said Luis Rodriguez, Maker Faire Kansas City organizer and resident Maker at Union Station. “If you are a fan of Star Wars, you will want to attend Maker Faire and listen to Fon Davis. Into cars? The KC Lowriders and the Model T Club will be onsite with great demos,” Rodriguez said. · Quixotic … and much, much, much more! Maker Faire Kansas City will also feature a wide range of special activities all weekend long in Kansas City’s Science Center, Science City, to encourage young people to get involved in Making. Admission to Science City on Saturday and Sunday is included with admission to Maker Faire. Nearly 100 people visited The Box Gallery on Friday, June 6, to view the art exhibition “Art in the Loop: 10-Years of Revitalizing Downtown KC with Public Art”. 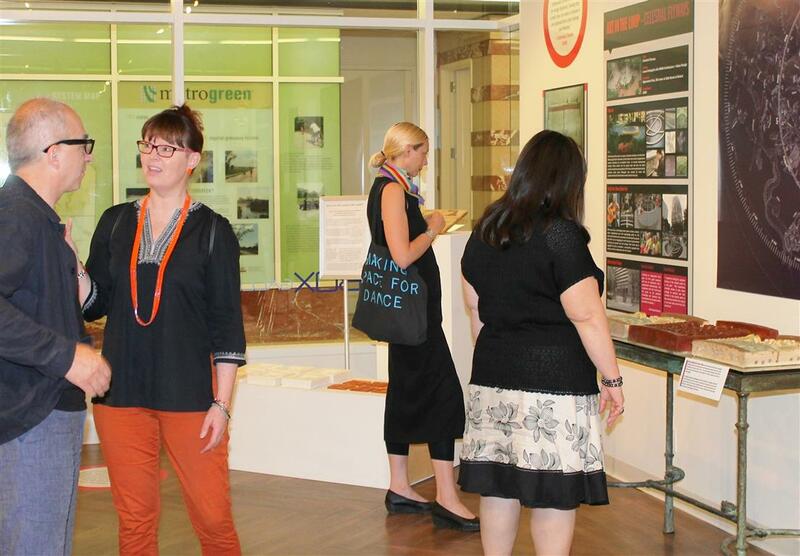 The exhibition takes a new look at the organizations’ successful projects and reveals their plans for the future. Why is public art important to Downtown Kansas City? How do local projects help emerging artists? The exhibition answers these questions and explains the detailed process of site-specific public art commissions –uncovering the complexity of the projects and the creativity of the artists involved. The exhibition includes a display of artist sketches, project photographs, site plans, sculpture models and materials. The show also includes a new video about Art in the Loop’s program through the voices of local artists and the foundation. A new walking tour map of public art in the Downtown Loop is provided free. 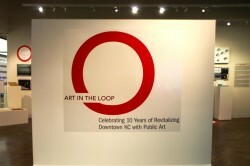 For more information about Art in the Loop, visit www.facebook.com/artintheloop or contact Ann Holliday, program director, ann@downtownkc.org. You and your family are invited to the first-ever Future Stages Festival at the Kauffman Center for the Performing Arts this Sunday, June 22. To celebrate reaching 1 million visitors since the Kauffman Center opened, the Kauffman Center for the Performing Art sis hosting a FREE community event for all. Future Stages Festival will feature more than 450 artists on our stages, 24 performing organizations and a group of nonprofit agencies providing interactive arts activities for kids. The Future Stages Festival is open to the public and attendees are encouraged to register for free online below or by phone at (816) 994-7222 to receive the latest event updates and schedule for performances and activities. All ages are welcome and programming is suggested as most suitable for families with youth ages 4 – 15. 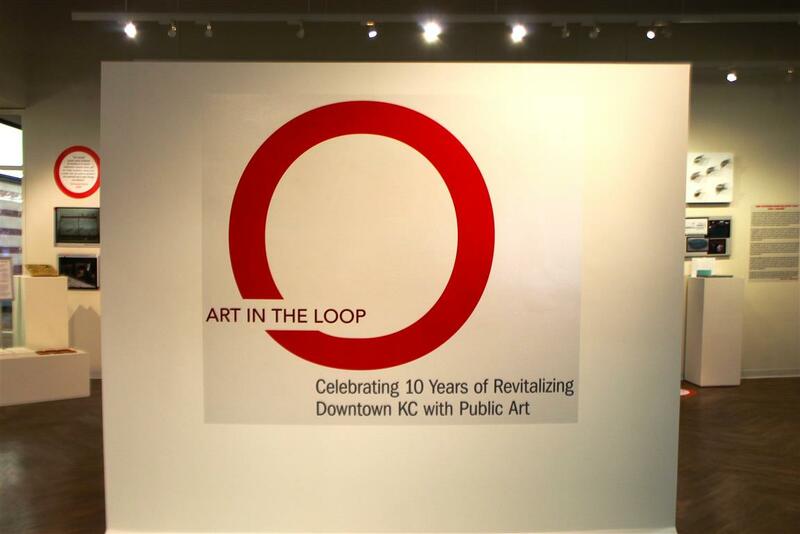 “Art in the Loop: Celebrating Ten Years of Revitalizing Downtown KC with Public Art” is a new art exhibit that takes a new look at the organization’s successful projects and reveals its plans for the future. The exhibition opens at 11:30 a.m. Friday and runs through July 25 at The Box Gallery, 1000 Walnut, in the Commerce Arcade. Why is public art important to Downtown Kansas City? How do local projects help emerging artists? The exhibition will answer these questions and explain the detailed process of site-specific public art commissions –uncovering the complexity of the projects and the creativity of the artists involved. The exhibition will include a display of artist sketches, project photographs, site plans, sculpture models and materials. The show also includes a new video about Art in the Loop’s program through the voices of local artists and the foundation. A new walking tour map of public art in the Downtown Loop will be provided free. 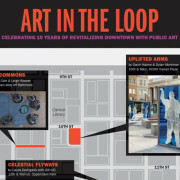 Founded in 2004, Art in the Loop is an established 501c3 nonprofit arts organization recognized for commissioning outdoor public art for Downtown Kansas City. The organization’s strength stems from its unique partnership with three prominent Kansas City entities, the Kansas City Art Institute, the Kansas City Municipal Art Commission and the Downtown Council of Kansas City. Common ground is found in a shared belief that the development of the downtown area and enhancing the cultural life of our city are directly linked. Over the past decade Art in the Loop has partnered with a large number of local businesses, non-profits, foundations, arts organizations — and commissioned the following artists and architects: Cortney Andrews, Alejandro Aptilon, Marcus Cain, Julia Cole, Dominique Davison, Laura DeAngelis, Rachelle Gardner, Dylan Mortimer, Amy Myers, Leigh Rosser, Ross Sawyers, Ascot Smith, Sean Starowitz, Jamie Warren, Davin Watne, and Allan Winkler. The exhibition opens on Friday and will run through Friday, July 25. 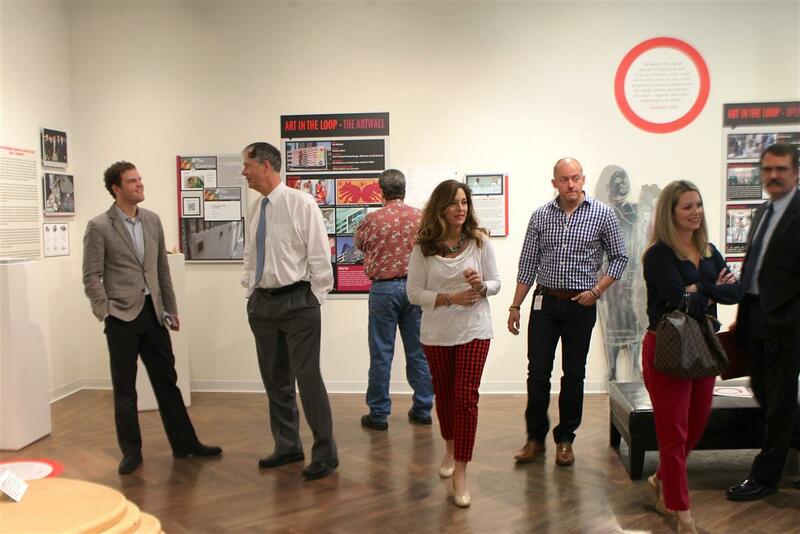 There is an opening reception event on First Friday, June 6th from 11:30 a.m.-1 p.m. (free and open to the public). The gallery’s regular open hours are 8 a.m. to 8 p.m., Monday through Friday. For more information, please contact The Box Gallery director Robin Trafton by calling 816-760-7885, or email TheBoxGallery@towerproperties.com. For more information on Art in the Loop Foundation, please contact Ann Holliday at the Downtown Council of Kansas City, 816-979-1072 or visit www.artintheloopcom. Downtown and the University of Missouri-Kansas City together will take a major step forward today with the announcement that land has been acquired for a new UMKC Conservatory campus. That step came at 8 a.m. Monday morning, as leaders from UMKC, the City of Kansas City, Missouri and the Downtown Council gather at the Kauffman Center for the Performing Arts to take the leap together. The Kansas City Star published the following editorial about this milestone moment in Sunday’s edition. Now comes the harder part: raising $21 million in private donations over the next two years — adding to $27 million already counted — to leverage a hoped-for $48 million match from the state of Missouri to build the project. As reported in The Star on Sunday, private donors have committed $6 million to buy a full block’s worth of properties from four owners just south of the Kauffman Center for the Performing Arts. For good reasons, leaders say that’s the ideal spot for a new complex that would house the Conservatory of Music and Dance, the first phase of the university’s long-range vision for a downtown arts campus. As Chancellor Leo Morton and conservatory dean Peter Witte point out, the close proximity to the Kauffman Center will create endless learning opportunities for conservatory students and will help expand partnerships with schools and the city’s performing arts organizations. All that can be a major selling point in the effort to attract new students. For another, the site — bounded by 17th and 18th streets, Central Avenue to Broadway — bridges the Kauffman Center and the Crossroads Arts District, contributing to that neighborhood’s identity as a creative melting pot connecting the arts, technology and entrepreneurship. 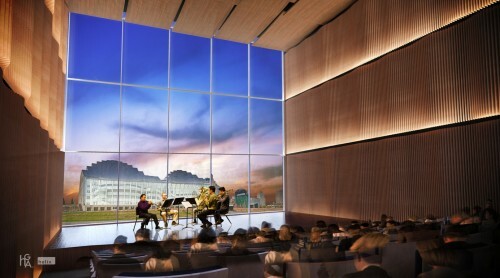 Rendering of the recital space at the proposed UMKC Downtown Campus for the Arts. Julia Irene Kauffman jump-started the university’s fundraising for this project nearly a year ago when she issued a $20 million challenge grant from the Muriel McBrien Kauffman Foundation, the principal funder of the Kauffman Center. An anonymous donor has pledged $1 million. Morton and Witte have been awaiting a site plan and plausible renderings to help hone their pitch to other potential benefactors. That work begins in earnest now. Highlighting one growing aspect of the conservatory’s mission, Witte told The Star, “Noting that our jazz program could be on 18th Street is pretty intoxicating.” The implication, of course, is that the school can make new connections to the historic heart of Kansas City’s jazz legacy about a mile to the east. University officials have traveled to and researched geographical alignments of music schools and professional concert halls in New York, Boston and even tiny Columbus, Ga., to make their case for academic and civic synergy. It makes a lot of sense, and it’s gratifying that city officials and business groups such as the Downtown Council have bought into the concept in a large way. Donors and others will naturally have questions about the value of the concept and details yet to be determined. Morton is particularly persuasive that UMKC’s role as an arts center for the university system will be heightened by the downtown campus and that all students, not just those in the conservatory, will benefit from their exposure to arts education. And those with a stake in the growth of downtown have long championed the idea that a concentrated influx of hundreds of young people will add energy to the area and enrich the urban fabric. Like the rising sounds of a Beethoven symphony, this project, one of the Chamber of Commerce’s “Big Five” civic priorities, is gathering steam. Morton is optimistic that the necessary private funds will be found and that Missouri lawmakers will follow through with a match under the two-year-old 50-50 plan. Harmony is certainly in order. In what is being hailed as a critical boost toward moving the UMKC Conservatory of Music and Dance to Downtown Kansas City, supporters have obtained an entire city block immediately south of the Kauffman Center for the Performing Arts. The acquisition of the block southeast of 17th Street and Broadway by anonymous donors, a “group of angels” according to university officials, is a key real estate accomplishment for the project. But it will also help with the completion of fundraising. UMKC officials say that between the $6 million donation of the land and the previous major pledges, they’ve raised $27 million toward a goal of $48 million in private donations. At that point, the university will ask state lawmakers to come through with matching funds for the $96 million conservatory plan. A formal announcement of the block that was purchased is scheduled for 8 a.m. Monday morning at the Kauffman Center for the Performing Arts. The eventual move of the conservatory and its 620 students and 110 faculty to the site is also considered a strategic opportunity to further redevelopment in the Crossroads Arts District, and to reinforce the connection between the central business district and Crown Center, a longtime goal of downtown advocates. “I know of no more strategic corner that we could be able to put together,” said Phil Kirk Jr., former chairman of DST Realty and an urban strategist who helped assemble the site. Supporters of relocating the conservatory next to the Kauffman Center believe it would be a great artistic marriage. They point to a similar relationship between the Juilliard School and Lincoln Center in New York, and the New England Conservatory and Jordan Hall in Boston. “That’s the ecosystem students will create their careers in,” said Peter Witte, dean of the conservatory. Sean O’Byrne of the Downtown Council, which also helped assemble the property, pointed out that students at the conservatory will have a clear view of the grand glass atrium of the Kauffman Center. “Students will be actually able to look up to this shiny icon on the hill and know someday they will be performing there,” he said. The proposed relocation of the conservatory, first reported by The Star three years ago, received its initial major donation a year ago when the Muriel McBrien Kauffman Foundation, led by Julia Irene Kauffman, announced a $20 million challenge pledge. It joined a previous $1 million anonymous donation. At the time the challenge pledge was made, however, two locations were being considered for the conservatory, both near the Kauffman Center, and no additional donations have been announced since then. UMKC officials believe having a site identified and acquired will galvanize fundraising. The clock also is ticking on the Kauffman challenge, which has a three-year deadline. Assembling the block for the conservatory proved relatively easy, according to O’Byrne and Kirk. The four property owners were amenable to selling, particularly because of its intended use. The properties are a building at 1701 Broadway, a school formerly operated by the Guadalupe Center at 1711 Broadway, a building at 315 W. 17th St. and a building at 1711 Central St. The plan calls for the existing buildings, none of which is historically significant, to be demolished and replaced with a 190,000-square-foot conservatory building. The low-rise structure would include classroom and rehearsal space. An architect has not been chosen, although Helix Architecture & Design has assisted in the planning. The block will be controlled by an entity established by the Downtown Council called Block 4 Acquisitions. It would be transferred to UMKC once the university obtains the necessary funding. If the conservatory plan falls through, the buildings would still be cleared and the site made available for other development. Another big advantage of the block chosen for the proposed conservatory is ample, nearby parking. It’s across 17th Street from the 1,000-space parking garage built by the city for the Kauffman Center. City officials say the Arts District Garage is mostly empty when there are no performances. It is open to the public — and students — for $3 daily during day hours and $55 per month. Opportunities also exist for development and redevelopment, including potential housing for students. The block acquired for the conservatory borders a community garden and environmental showcase to the south called 18Broadway. The space was established by DST Realty in 2010 on the site of a proposed highrise condominium. After that project failed, DST essentially put the land on hold as a green oasis until another development opportunity arose. Kirk said that DST land could be ultimately developed for future phases of what UMKC is calling its Downtown Campus of the Arts, or other associated development. Jane Chu, president and CEO of the Kauffman Center, described the acquisition of the property as an “exponential” move for the conservatory proposal. “Not only does it benefit that project but it sparks creativity for all the areas around it, including the performing arts center,” she said. In 2011, the state approved legislation intended to match private dollars for university capital improvement projects, but no money has been allocated. The Art in the Loop Foundation‘s new ARTwall was installed on Thursday, May 8, the on the south side of the Town Pavilion Garage at 13th & Grand. The 2014 ARTwall entitled FRESH BREAD by Sean Starowitz captures a moment in the artist’s community based art project also entitled FRESH BREAD. To “break bread” has come to symbolize sitting with someone, conversing, and understanding one another. In other words, FRESH BREAD isn’t just about selling fresh bread, but creating and facilitating a space to converse about our city. FRESH BREAD activates the streets, un-used spaces, and diverse communities by popping up and creating an accessible, inviting environment that audiences can participate in. FRESH BREAD is a project that is a “pop-up” bakery that utilizes abandoned, unused urban spaces and/or vacant lots around the Kansas City metro area. In KC, there are over 12,000 abandoned properties, and the areas with the highest concentrations of these abandoned properties also happen to be food deserts. By popping up in some of these areas, FRESH BREAD will draw attention to these problems while putting high-quality bread directly into people’s hands. Starowitz is a local artist and is the artist-in-residence at the Farm To Market Bread Company who was recently named a 2014 Charlotte Street Foundation Visual Art Award Fellow . He is a 2010 graduate of the Interdisciplinary Arts program at the Kansas City Art Institute and a 2012 Rocket Grant recipient. For more information about the artist, please visit his website: http://seanstarowitz.com/. The ARTwall, a custom-designed billboard structure, designed for super-sized art rather than advertisements provides an opportunity for artist engagement in the revitalization of Downtown Kansas City. The permanent structure exhibits contemporary art produced as large-scale digital prints. Financial assistance for this project has been provided by the Missouri Arts Council, a state agency, and with the generous support of Copaken Brooks, LLC. For more information about the ARTwall or Art in the Loop Foundation, contact Ann Holliday, ann@downtownkc.org. Save the date, as Artists Take Flight on Friday, May 2! Be sure to add The Roasterie to your May 2nd First Friday gallery list! 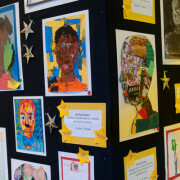 More than 200 pieces of Crossroads Academy original student art will be displayed at this unique First Friday event from 5:30-8 p.m. at The Roasterie’s Cafe and Bean Hanger, 1204 W. 27th. Light appetizers and drinks will be provided until 7 p.m. This is a free community event open to the public! Artists Take Flight is a culminating event for the Crossroads Academy Visual Arts program. Crossroads Academy is wrapping up its second successful year as Downtown’s charter elementary school. Students in grades K-6 spend two hours every week in the Visual Arts Studio studying curriculum based on the Elements and Principles of Design. Scholars are exposed to a variety of 2D and 3D media with art history and historical information woven throughout each unit. The program strives to help students develop their visual literacy skills so they have a greater understanding and appreciation of art, skills we hope will continue to mature throughout their education at Crossroads Academy and beyond. Select pieces will also be available for sale for $20, with proceeds benefitting a Crossroads Academy Fine Arts fund for future Visual and Performing Arts purchases. For more event information visit crossroadsacademykc.org/artiststakeflight/. Attendance at the leading 15 attractions in Downtown Kansas City soared by millions over the last 10 years, according to research by the Downtown Council. Thanks to a significant investment in Downtown over the past 10 years — particularly in entertainment venues like the Power & Light District, Sprint Center and Kauffman Center for the Performing Arts — the number of visitors soared to 19.6 million in 2012, a gain of 11.6 million — a 144 percent increase — over 2012. The eight-block Power & Light District, which gradually began opening in 2007, was the biggest attraction in 2012 with 9.1 million visitors. Crown Center, complete with its Legoland Discovery Center and Sea Life Aquarium (both of which opened last year) was second with 6.5 million. Sprint Center rated third with an estimated 1.1 million, followed by Union Station and the City Market. In 2002, Crown Center led the way with 5 million visitors, followed by the City Market, Kemper Arena, the American Royal and Music Hall/Municipal Auditorium. Jon Stephens, interim president and CEO of the Kansas City Convention and Visitors Association, told The Star that the dramatic increase in visitors vindicated the investment, some subsidized by taxpayers, when it came to putting Downtown back on the map. And that is certain to happen again over the next five days. From Saturday, July 27 to Wednesday, July 31, the Power & Light District will play host to all fan festivities associated with the Major League Soccer All-Star Game to be played on Wednesday, July 31 at Sporting Park in KCK. The five-day run is packed with free concerts, watch parties, games and fun. 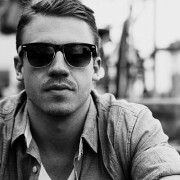 Concerts featuring national acts, Macklemore & Ryan Lewis and the Silversun Pickups, will present free concerts on Monday and Tuesday nights, respectively. The MLS All Star festivities mark the second consecutive summer that national attention will be riveted on Downtown for hosting major league fan activities. Last summer, Major League Baseball was in Kansas City for the All Star Game — complete with the official fan fest at Municipal Auditorium and the Power & Light District. Times have definitely changed in Downtown KC. The gain is 11.6 million visitors over 10 years is just one more piece of evidence of Downtown’s revival. “It reinforces what we’re trying to do to take Downtown from being a 9-to-5 place to a 24/7 environment with innovative districts, offices, retail and residential,” Bill Dietrich, president and CEO of the Downtown Council, told The Star. The Power & Light District will be at the heart of fan festivities for Major League Soccer this weekend and next week, as the 2013 MLS All Star Game comes to Kansas City. Centered at the KC Live! Stage at the Power & Light District, the fan festival will stretch from July 27-31 and include concerts, competitions, family activities and parties in Downtown Kansas City. Highlighting KC flavors, sounds, and sensibilities, this will be a celebration of local culture to amplify the All-Star message. Downtown KC was the site of fan activities last July for the Major League Baseball All Star Game that was played at Kauffman Stadium. The MLS All Star Game this month is set for Wednesday, July 31 at Sporting Park. Click here for the complete list of MLS All Star revelry.